I have partnered with NBC’s TODAY and The Blogger Babes to bring you this delicious recipe and heart-felt story. As always, all opinions are my own. 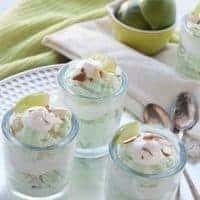 These creamy lime jello parfaits are the result of a family favorite dessert that has been turned into a modern dessert that’s delicious and fresh after any meal. I am sharing this recipe today as a part of the TODAY Food Club (TFC) “Family Favorites” Challenge, and I’m inviting you to do the same. You may have your recipe featured on TODAY.com and even on The Today Show! You’ll have access to exclusive sweepstakes, such as this one I’m about to tell you about! The Ultimate Cookware and Cutlery Giveaway from ZWILLING J.A. Henckels. Seriously amazing giveaway!! 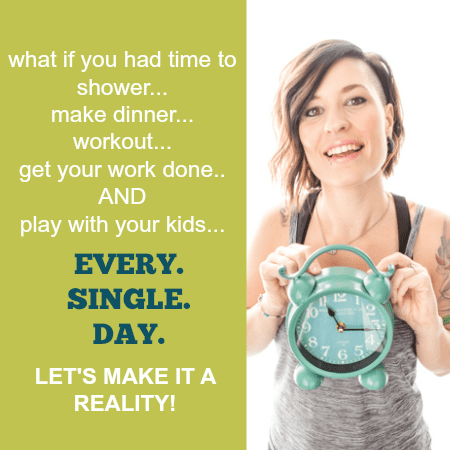 So I highly encourage you to head on over to the TODAY Food Club and join today so you can get entered for this amazing package! You don’t even need to submit a recipe in order to be entered to win the giveaway! Here’s the thing. I don’t have a strong tie to family recipes growing up. I didn’t learn to cook from my mom. I didn’t learn from my grandma. It’s something I’ve picked up over the last 10 years of my adult life. So when I think about “family favorites” I have to admit, my mind goes a little blank. Maybe it’s my ridiculously horrible memory. But I really think it’s because I didn’t come from a family of foodies, and that’s totally fine. The one great thing about that is that when there is a recipe that has been ingrained in my mind, it’s there for good, and it’s not going anywhere. And it’s a million times more special. And that’s what I’m talking to you about today. I know. November and green jello don’t exactly go hand-in-hand. Except for the fact that in my mind they do. See, because my family didn’t have many “prized” recipes, those few we did have were made at every special occasion. For example, when my grandma had us over for dinner, she almost always made her delicious lasagna (you can see my tribute to her lasagna recipe here). Or when she had church missionaries over, I swear she made taco haystacks every time! 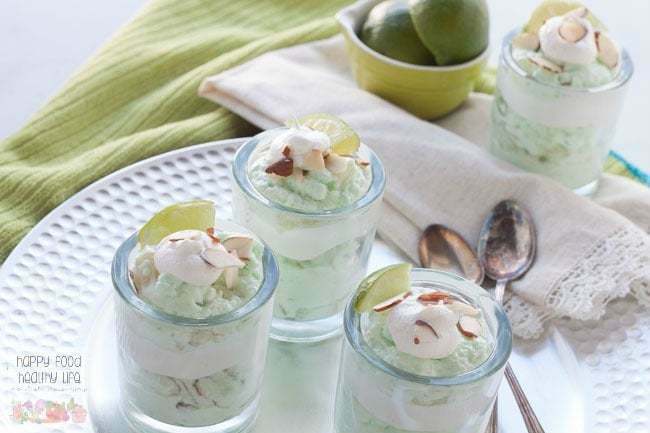 And every holiday dinner, especially Thanksgiving and Easter, she made her creamy lime jello salad. I can’t believe it’s taken me this long to share it with you. You see, I lost my grandma 6 years ago. The things that remind me of her are held close to my heart and sometimes they’re hard to put out there because I want to keep them all to myself. In fact, I’ve put off writing this post for as long as I possibly can because I knew the memories would all be stirred up yet again. Her eagerness to help others. Her willingness to do anything and everything for her grandkids, nieces, and nephews. Her complete selflessness. And of course her infectious laugh. For those lucky enough to have known my grandma have known the joy she brought into a room. They know her ability to strike up a conversation and make a friend with absolutely anybody. The grocery store cashier. The new neighbor who just moved in. Or someone she just met on the Amtrak train. She had a gift. These traits are not common anymore in the world. People do not wave at their neighbors as they drive down the street. In fact, I don’t even know who the majority of my neighbors are. Thinking about my grandma reminds me to be kind and to laugh more. And me sharing this light dessert with you is my way of sharing her joy of life with you. My grandma was all about breaking the rules and truly enjoying the good things in life. Piles of cheese. More dessert. More jumping on the bed. More laughter. There are no rules that say you can’t enjoy lime during Thanksgiving or Christmas. 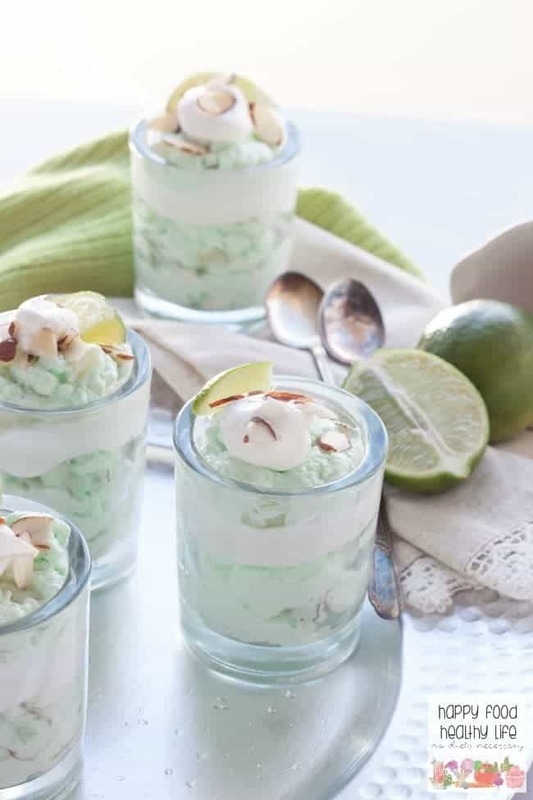 I hope you consider to make these jello parfaits for your loved ones this year. They will truly feel the joy in every bite. Who doesn’t love Green Jello? Check out this modern twist on a classic. Prepare jello as instructed on the box. Pour into a large bowl and let sit in the fridge for about 2 hours so it's partially set. In the meantime, take cream cheese out of the fridge so it's room temperature. Also dice the pear into small pieces. Once the jello is partially firm, whip the cream cheese with a mixer until it's smooth, then add the jello and mix until well combined. Mix in 3/4 cup of cool whip. Then fold in the pears and almonds. Once everything is combined well, transfer everything back into a large bowl and let it completely firm up in the fridge. At least 2-3 more hours. 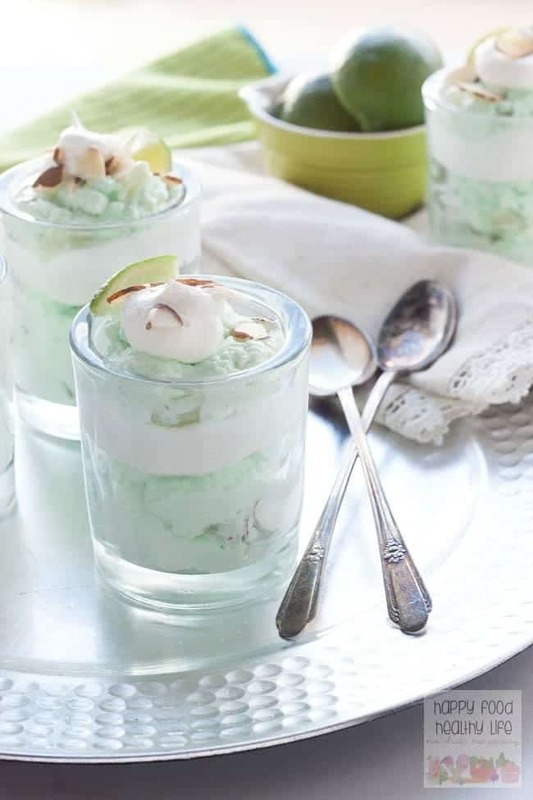 You could even make this a day in advance before preparing the parfaits. When you're ready to assemble the parfaits, I think it's easiest to do so using large piping bags (as long as your pears are diced small enough to go through the opening of the bags. In one bag, I fill it with the jello mixture. In the second bag, I fill it with the remaining cool whip. Pipe about halfway up your small parfait cups with the jello. Then pipe a small layer of cool whip. Repeat with jello and a small dollop of cool whip. 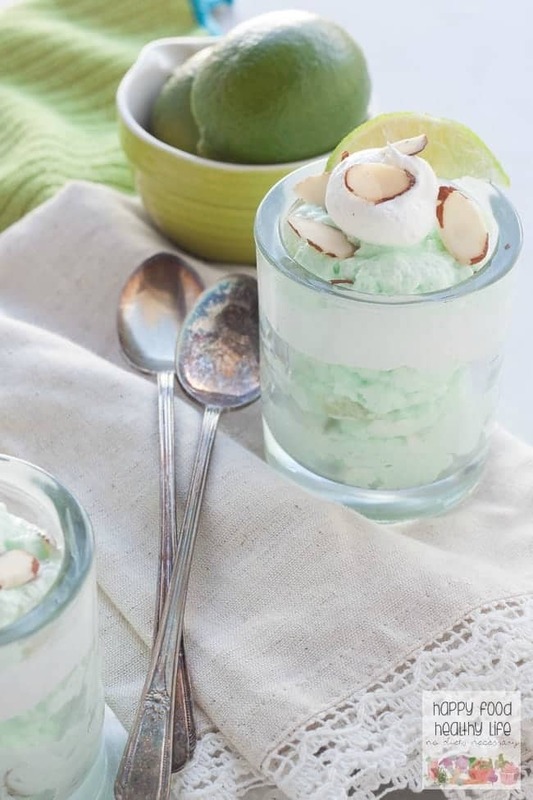 Top with a small sprinkling of sliced almonds. Also, I’d love to hear in the comments – what is your favorite recipe that has been passed down through the years? THIS POST IS SPONSORED BY TODAY. THANK YOU FOR ALLOWING ME TO CONTINUE CREATING GREAT CONTENT FOR YOU BY SUPPORTING PARTNERSHIPS WITH SUPER AWESOME BRANDS THAT HFHL LOVES TO WORK WITH! AS ALWAYS, OPINIONS REMAIN 100% MY OWN.